As mentioned in many articles on Skatter Tech, we place great emphasis on purchasing cases to protect expensive gadgets. Unfortunately even some of the best cases come with a some drawbacks. These may include loss of functionality, added weight, and loss of the original design elements. An alternative solution, which has been becoming increasingly popular, is ZAGG’s invisibleSHIELD. The entire accessory is merely a few pieces of thin durable films that safely adhere themselves to the device. These protect against scratches, minor nicks, and deterioration. The most important aspect would be the fact that once applied properly, your iPhone 3GS will look as it did when it came out of the packaging. If you thought getting the flim onto the device was simple, you’re wrong. Installing the invisibleSHIELD onto the iPhone 3GS will take at least 20-30 minutes of your time. Plus I should mention that it’s recommended to let the film settle and dry overnight once applied. This means the phone should be untouched and remain turned off. The invisibleSHIELD is actually a “wet installation”. First step would be to clean off any dirt or fingerprints on the iPhone. Second spraying your fingertips and a piece of the film with the included liquid solution. Then align and place the clear film onto the iPhone. It’s best to work quickly, but can be removed to be readjusted in the first few minutes. The final step would be to use the squeegee to push out any air bubbles caught in between the film and the iPhone’s body. This may not seem like much, but it definitely takes a while. The most interesting part is how horrible it looks immediately after application. There’s usually a ton of micro bubbles and smears. However if you let it settle for the mentioned duration, those work themselves out and turn out looking excellent. Of the included pieces, the film for the the display was the easiest to install. The rear was the most difficult since it has to deal with curvature of the iPhone. 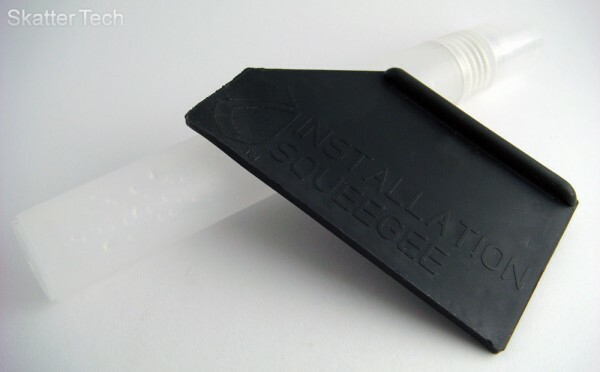 Despite that being said, installing one of these isn’t rocket science. If you have the patience and time, it’s well worth the effort. 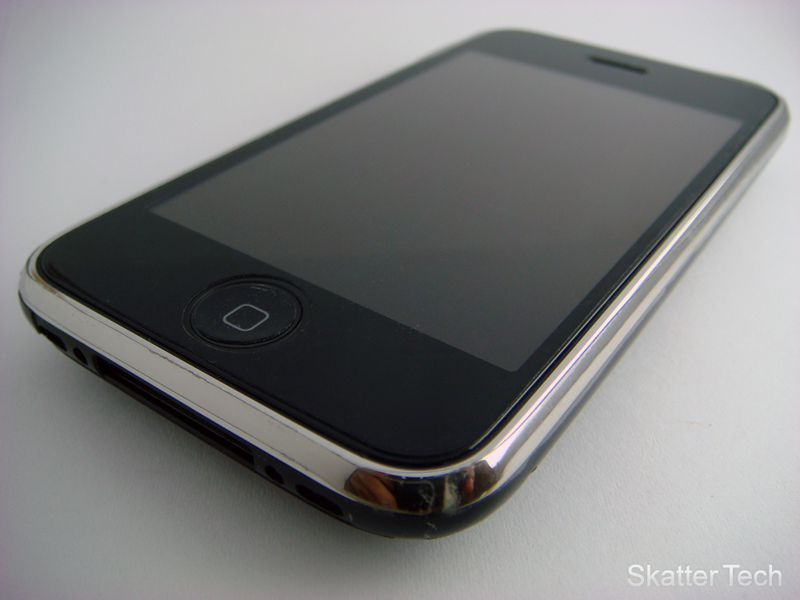 The ZAGG invisibleSHIELD for the iPhone 3GS (also compatible with the 3G) offers excellent coverage. The entire front portion of the iPhone is covered with only a slit to allow sound to travel through the ear piece. An optional piece is provided to cover the home button. The rear piece of film covers the entire back side leaving openings only for the camera, volume rocker and the silent switch. Other areas left un-covered would be the dock connector, speakers, power button, and headphone jack. The film even wraps around the corners to offer as much protection as possible. Small strips are also provided to cover the bezel on the top and bottom. Once installed and allowed to dry, there’s no way that this invisibleSHIELD will peel off on its own. If you were to attempt to remove it, a decent amount of force would be required. This assures us that the Shield will stay on and defend against nasty scratches. Just about every aspect of the iPhone 3GS is just as functional with the invisibleSHIELD applied as without anything. It is thin enough to fit into some iPhone/iPod docks and works with most accessories. Most cases fit on just fine. I did encounter some difficulties getting some exact-fit hard cases on. For instance, the protector added just enough thickness that it didn’t allow the Proporta Crystal Case to snap together. But despite that one issue, the majority of things I attempted to use it with including the OtterBox Impact Case for the iPhone 3G, worked just perfectly. When held or placed in a pocket, it’s hard to even tell if there’s even something on the device. For example, an observer or onlooker would actually have to inspect the device for a few seconds to realize that there’s actually a thin layer over the body of the iPhone 3GS. The only small quirk I had was the slight texture created by the film. Despite that, it goes almost unnoticed when the display is in use. The ZAGG invisible shield also feels fairly good on the finger. Since the iPhone is a touch screen device, that is a fairly important factor. In the beginning it was a bit “sticky,” but after a little bit of use, it became almost as smooth as the display itself. Almost all sensitivity is retained, so there’s not much to worry about there. Even if a slight amount is lost, it’s a well worth trade off in exchange for protecting your display from the dangers of keys, coins, pens or whatever else might be in your purse or pocket. Zagg offers one of the best warranty and replacement policies I’ve come across. If for any reason you aren’t satisfied in the first 30 days, you can get all your money back. If you have been using the invisibleSHIELD and it gets scratched, torn, or damaged, they will offer a free replacement. The only catch would be that Zagg requests that you mail then back the damaged screen protector. They inspect them for possible defects to help improve their product. With that being said, I decided to actually tested the warranty service. I purchased another Zagg invisibleSHIELD for another gadget. (Not the one shown in this review which was provided by Zagg.) It actually ended up being a bit defective since a part of it was already scratched right when it came out of the packaging. I called a few day after I installed it too see what they would have to offer. They immediately offered to send out a replacement at no cost. I just had to mail them back the old pieces within 25 days. They suggested I stick to a blank sheet of paper, fold it up, and send it off in standard letter envelope. And that was it! I have personally been a huge fan of screen protectors. Zagg’s invisibleSHIELD takes things to the next step by also offering coverage for not just the display, but also the rest of the device. 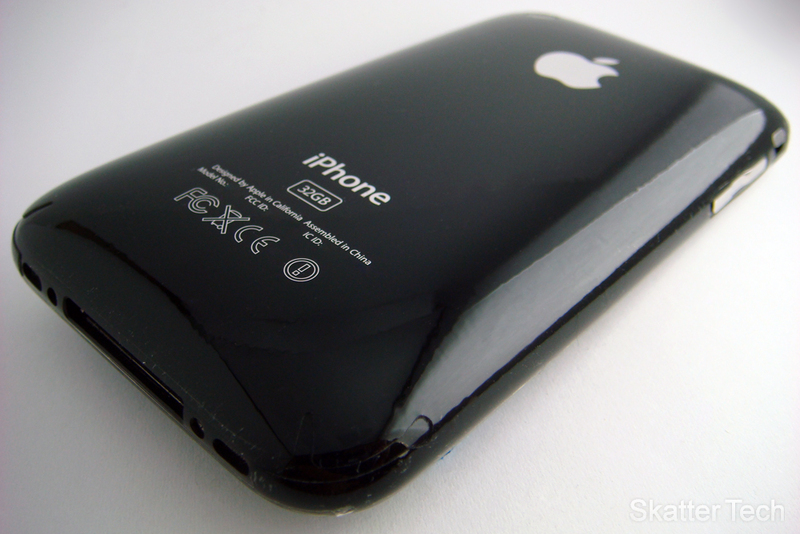 The shield keeps the iPhone 3GS compact, looking stylish, and defends against even the deepest of scratches. Keep in mind, this will help prevent wear and tear, but isn’t a complete alternative for cases. One drop with or without a Zagg invisibleSHIELD will probably yield the same result: a dead iPhone. A simple $20 accessory such as the Proporta Crystal Case, OtterBox Impact Case, or Griffin Wave will go a long way to protect physical damage. Of course, if you have the cash to spend, the best solution would be a combination of both. If you want to grab an indivisibleSHIELD for your iPhone 3G or 3GS, it’s available for $25 for the full protection kit seen in this review. If you wish you can purchase either just the rear or front protection separately for $19 or $15 respectively. Zagg also has a large selection of invisible shields for many other devices including phones, media players, cameras, laptops, and lot more. Yes, but I just damaged my iphone from installing one of those shields. No matter what I do with the settings, the sound is so poor I can barely hear the voices of callers. I have emailed Zagg but do you have any suggestions in the meantime?